In Australia cannabis possession and use is currently illegal. Iin several states and territories (SA, ACT and NT) a small amount for personal use is decriminalized. Meaning it is not a criminal offence but is still illegal. In a recent opinion polling data, around 30% of Australians thought cannabis should be legal. Teenagers 14-17 years old were least likely to support legalization (21% of that age group) and 18-24 year old were most likely to support it (36% of that age group). Australia is one of the most expensive places to live and do business even before you pay taxes. Economic analysis of the impact of cannabis legalisation calculate the social benefit of legalisation at A$727.5 million per year. Compare that with the money created from fines and the amount of money it cost to enforce these laws and you can see the government is wasting more money then a Tradie on the Pokies on pay day. Some of that money could go towards removing the fuel tax which account for about 30 cents per liter on fuel. We have just seen a Nation wide “Fuel strike” which seemed to have some effect on prices and government. Decriminalization would reduce the burden on the criminal justice system. A large proportion of youths in the justice system are in it for drug related offences. If non-violent drug related offence were seen as a health problem rather then a criminal problem perhaps we could reduce the number of addicted people in our society, Thus lowering the social cost on our welfare systems, prison system and the effected persons family and eventual children. Conservatives and libertarians alike are always complaining about the size of government and the “Nanny state”. This seems the perfect opportunity to reign back in that ” governmental over reaching power” and take back the rights that we should have to do what it is that we want, as long as it isn’t hurting someone else. As a classical Liberal i would much prefer the individual states and territories set there own laws rather then have federal legislation. More state power would again limit the federal government and keep the laws more localized as they should be. States could set actual real regulations ,that might actually work and be enforceable . Similar to alcohol and tobacco regulations on advertising and sales has gone a long way to reduce unwanted harms to the public. Cigarettes smoking has reduced significantly in recent decades while not infringing on someone rights to do what it is they want. You have probably heard of some of the medical benefits of cannabis, some of seem are a little crazy and a to be a bit of a stretch to say the least. The amount of pain relief it can give and with studies that have shown it can be helpful in treating nausea and vomiting from cancer during chemotherapy, and it seems like a no brainier that at the very least the option to take it should be made available . The list could go on. 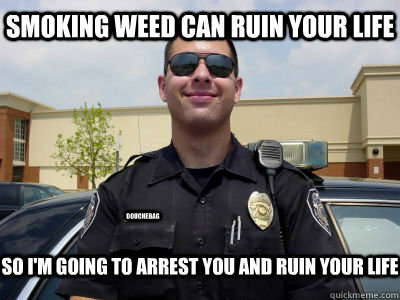 What are some other reasons it should be legalized ?